‘Best in Show’ was the flower arrangement ‘Menston Show 40th Birthday’ by Frances Johnson, who now holds the Leslie Wood Memorial Trophy. 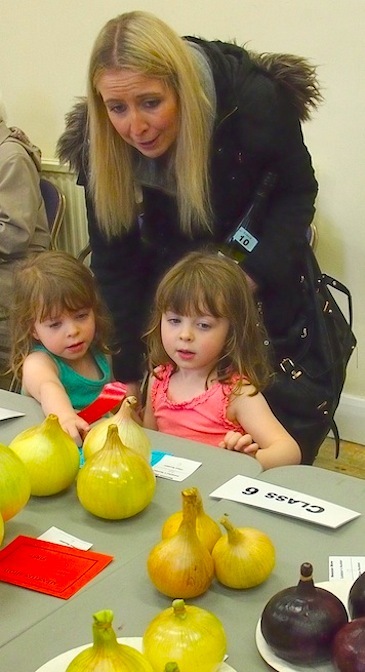 Though the number of entries on the 40th Menston Show, 2015, was down on last year, due in part at least to the dismal summer weather, “the standard was very high, causing some problems for the judges in choosing winners”, commented Show President Sue Rix introducing the prize giving. In fact some trophies were awarded jointly to more than one entrant. 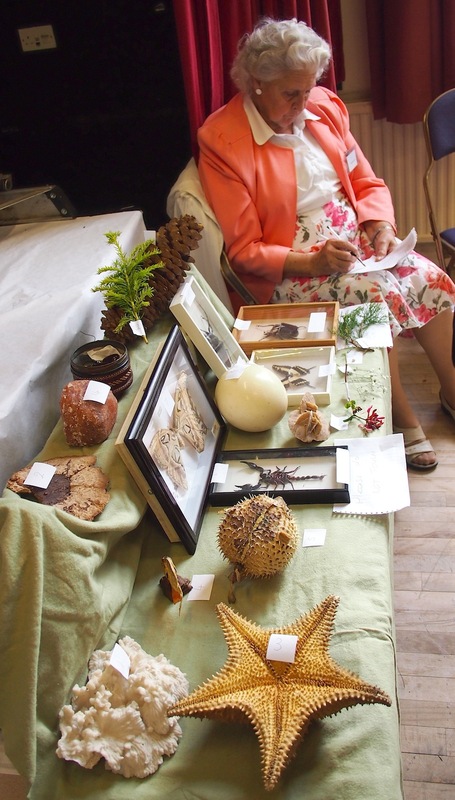 Long-serving show committee member Elizabeth Loy brought a fascinating display of things animal, vegetable and mineral and asked visitors to say what they were. A beetle the size of a sparrow, a giant starfish and a less unusual spray of yew were alongside a spray of gypsophilia which, Elizabeth told us, was commonly called ‘baby’s breath’, and so featured appropriately in flower arrangements on the theme ‘Royal baby’. Elizabeth took the Joan Pullan cup for flower arrangement. 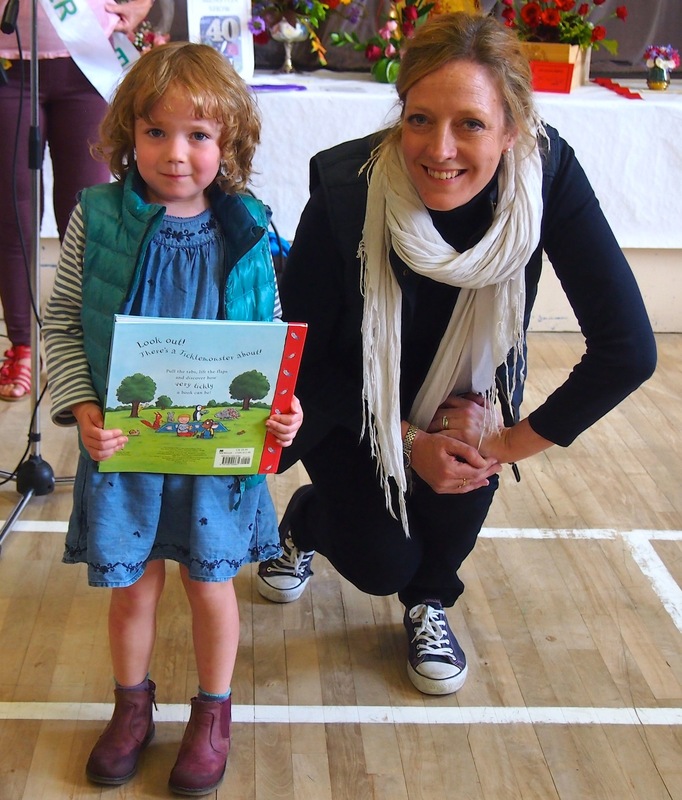 It was lovely to see some ‘tiny tots’ competing and there were at least two prize winners under 5 years old: Emily Pugh won the newly introduced picture competition for pre-schoolers and with it a children’s cup; a prize for under 5s in the competition run by Show sponsors Ribston Pippin went to four years old Beatrice. 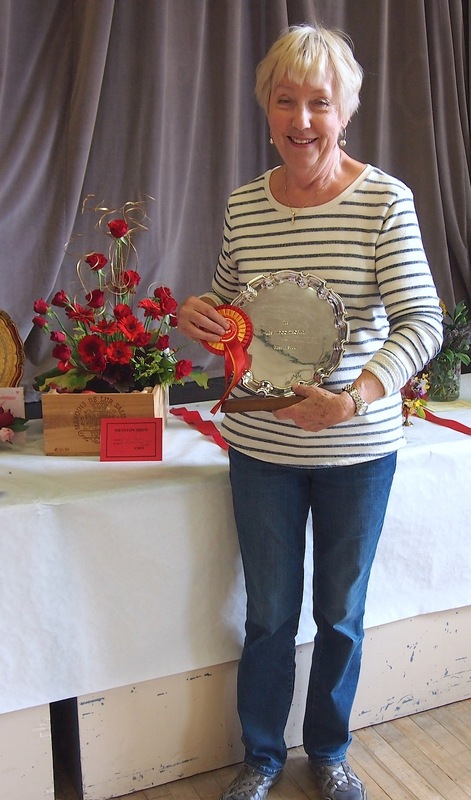 ‘Best in Show’, the Leslie Wood Memorial Trophy, went to Frances Johnson for a wonderful flower arrangement on the theme ‘Menston Show 40th birthday’, set in a planter full of a variety of things found in other show classes. Though vegetables were a bit sparse it was good to see some very ugly potatoes which, ugly they may be, but for taste most more usually-shaped potatoes cannot compete, as one lucky bidder at the after show produce auction can attest as he had them for dinner the same evening (guess who!). The auction is a great opportunity to get some fresh home-grown produce rather than runner beans from Spain, tomatoes from Holland, etc, etc. A surprising revelation by Sue Rix in her thanks, which included those for the other show sponsor Manor Coating Systems of Shipley: the show committee, which meets just four times a year, still has founding members, from 40 years ago, serving. New recruits will be welcomed, she said. for all the results from the 2015 show. Click any picture too see it larger, as part of a slide show of all the pictures below (pictures are copyright Petronela Prisca and Roger Livesey but Menston residents are welcome to grab them for family use). Elizabeth, former school teacher, ‘marks’ entries for her ‘What’s this?’ competition. More marking by Elizabeth. Who is that looking bemused? Run up to the 40th Menston Village Show has begun; all the details are now on this website, with a few new classes for entry. The Show box in the right hand column, clicking it will take you to all the details, will be a permanent feature on the site from now until Show day, 12 September. Three superb events on Saturday this week. 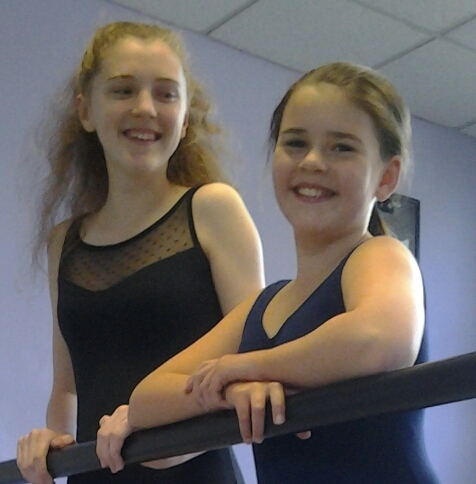 First, Menston ballet class students Niamh Cater, 13, and April Lever, 11, will be dancing in Giselle with the English Youth Ballet at St George’s Hall on both Friday and Saturday evenings. Niamh is also Ballet Scholar with the British Ballet Organization. Unfortunately another two Menston students invited to dance in the production had to pull out because of GCSE exams. For more information on the ballet weekly sessions at the Kirklands Community Centre email Stephanie at menston@btapacademy.co.uk. Saturday afternoon is an occasion to go for a strawberry tea with Menston in Bloom and pick up a few plants for the garden; let’s hope the weather is kinder than last year for this annual fund-raising event. Tea will be served between 2pm and 4pm at 23 Park Road. Entry, which includes the strawberry tea, is £2.50. Children are free and there will be creative table activities for them. A good way to round off Saturday will be to don the gladrags and go to the Summer Ball on 6th June evening at the Craiglands Hotel, Ilkley. There are still some tickets for this grand black tie event, staged by Menston charity Angels for Children, which raises money to help rebuild schools in the Philippines destroyed by Typhoon Haiyan. 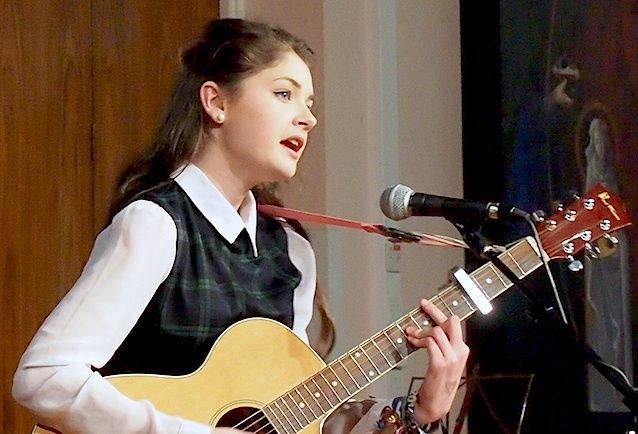 From 7.30pm till late, the ticket price of £25 includes a two course dinner, there’s a live band for dancing and the evening will be opened by talented Menston musician Hattie Barnes. For tickets call Beth Street on 0771 978 5986 or for more information on the charity go to http://www.angelsforchildren.org.uk.